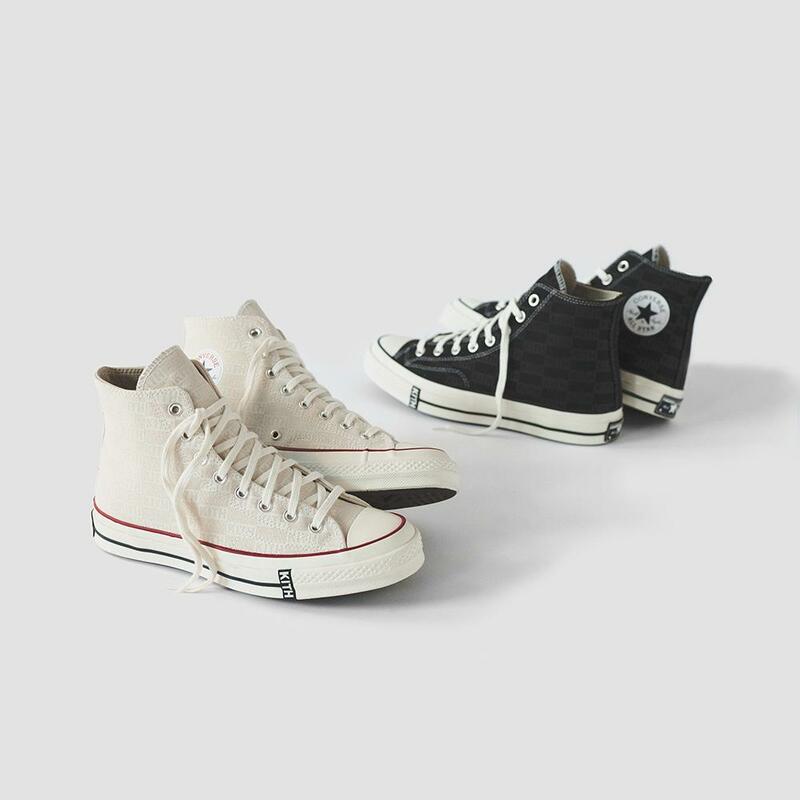 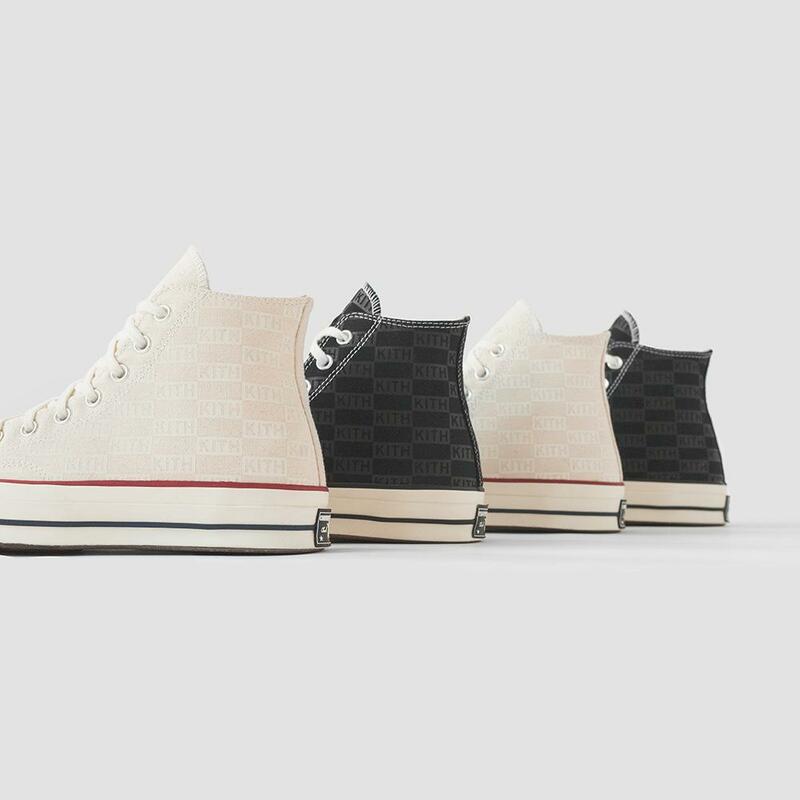 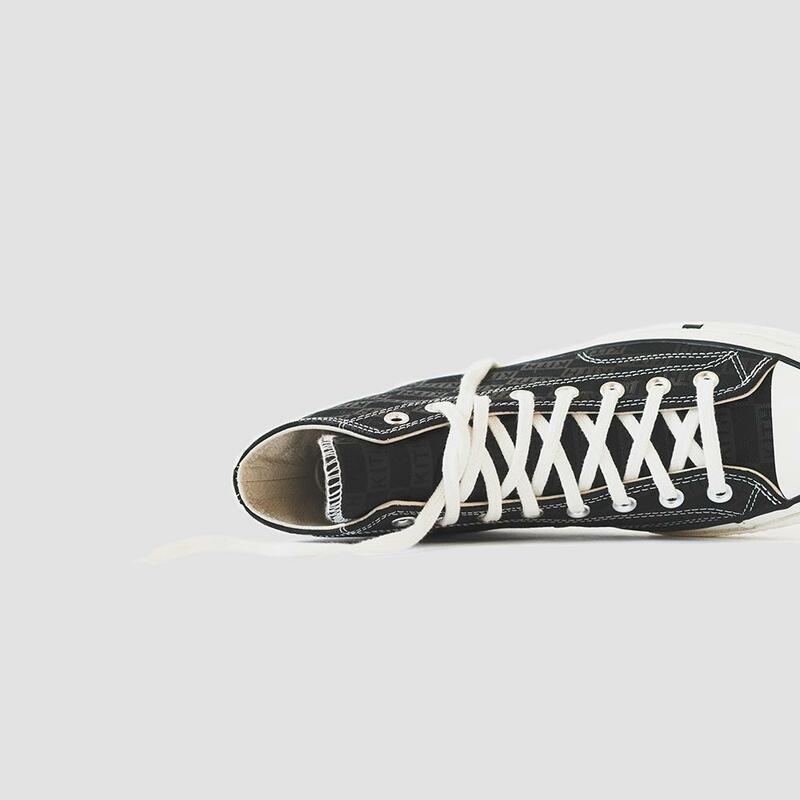 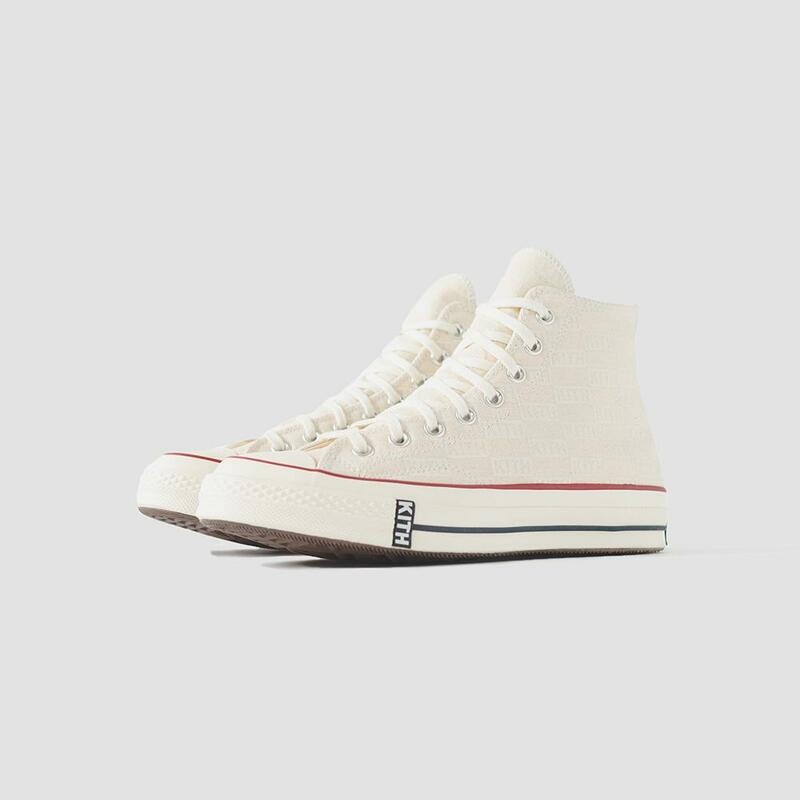 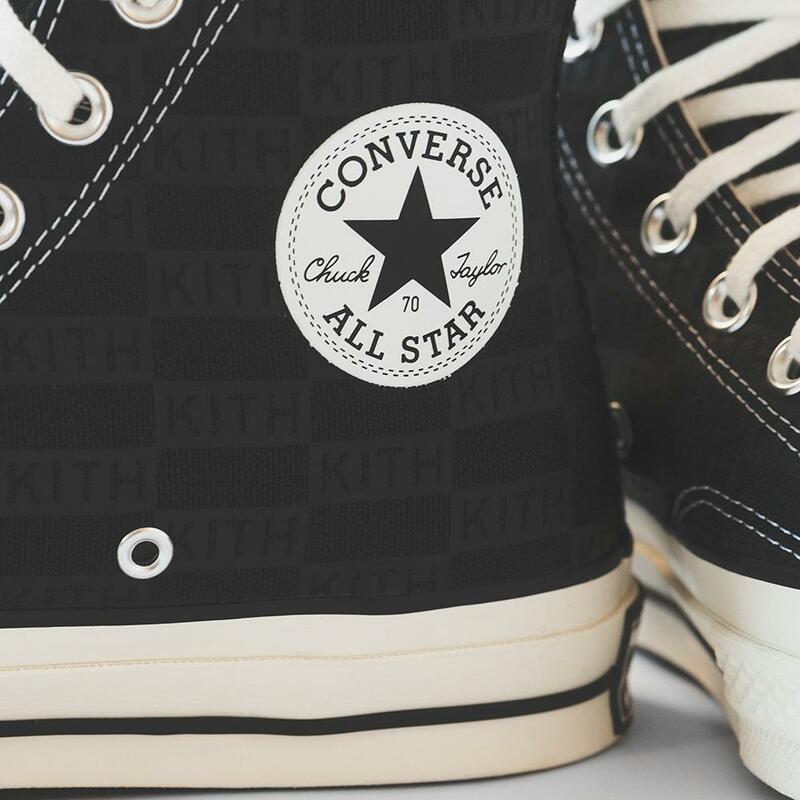 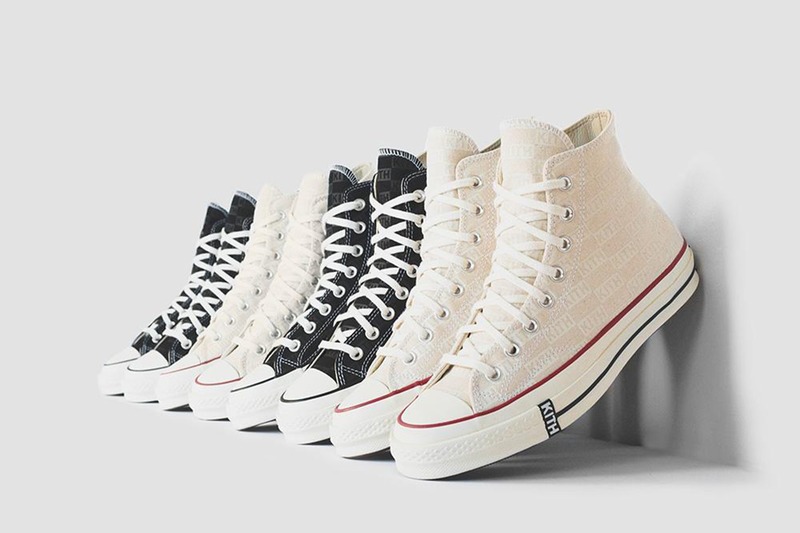 Kith partners with Converse to create two collaborative models as part of Kith’s ongoing Classics Program. 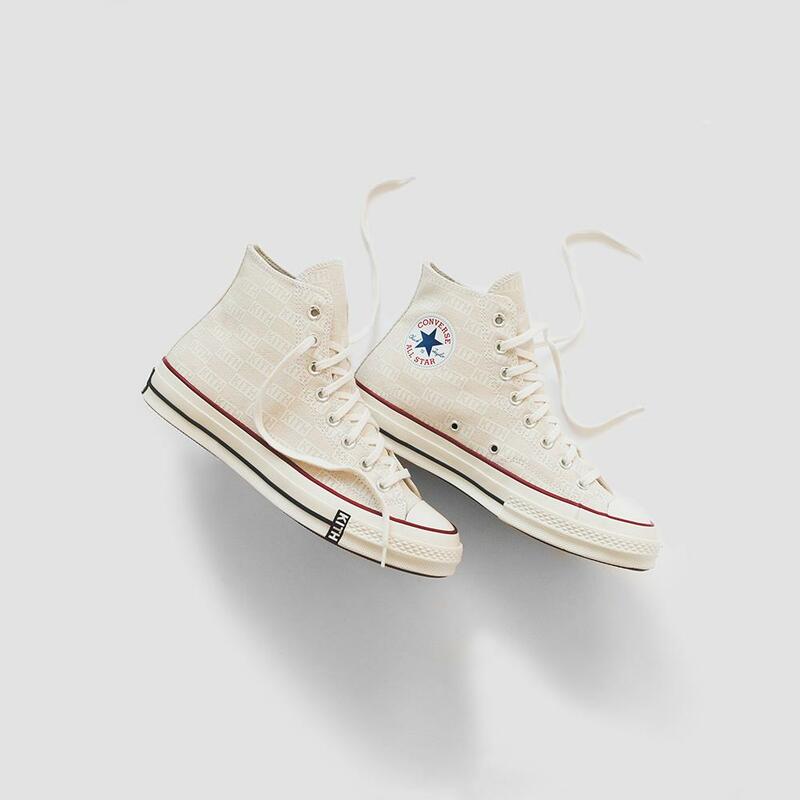 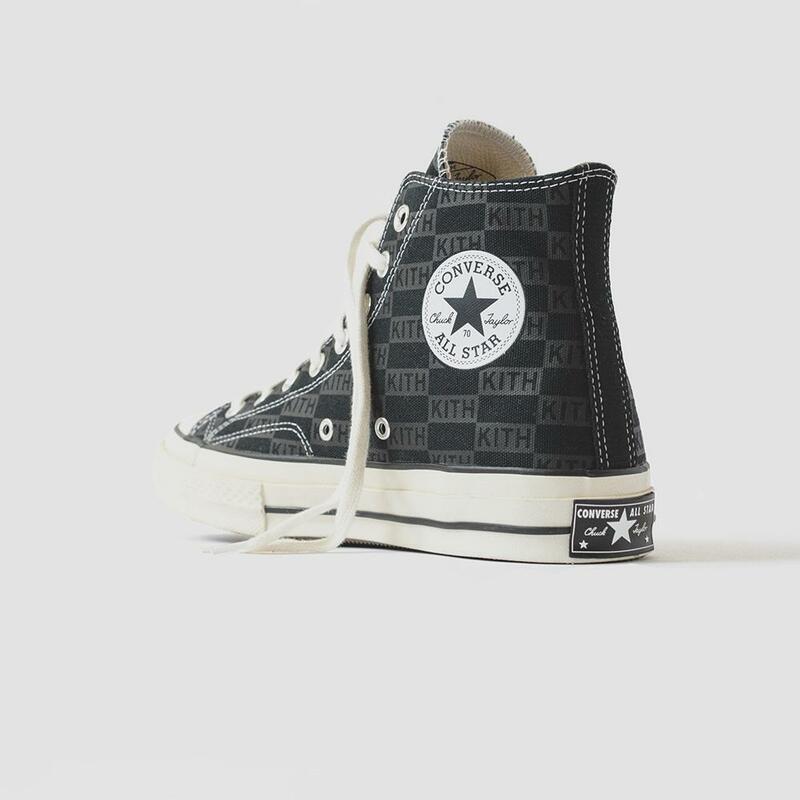 Echoing this Classics approach, Kith reimagines the Chuck Taylor All Star 1970 in two of its most iconic colorways while retaining its timeless DNA. 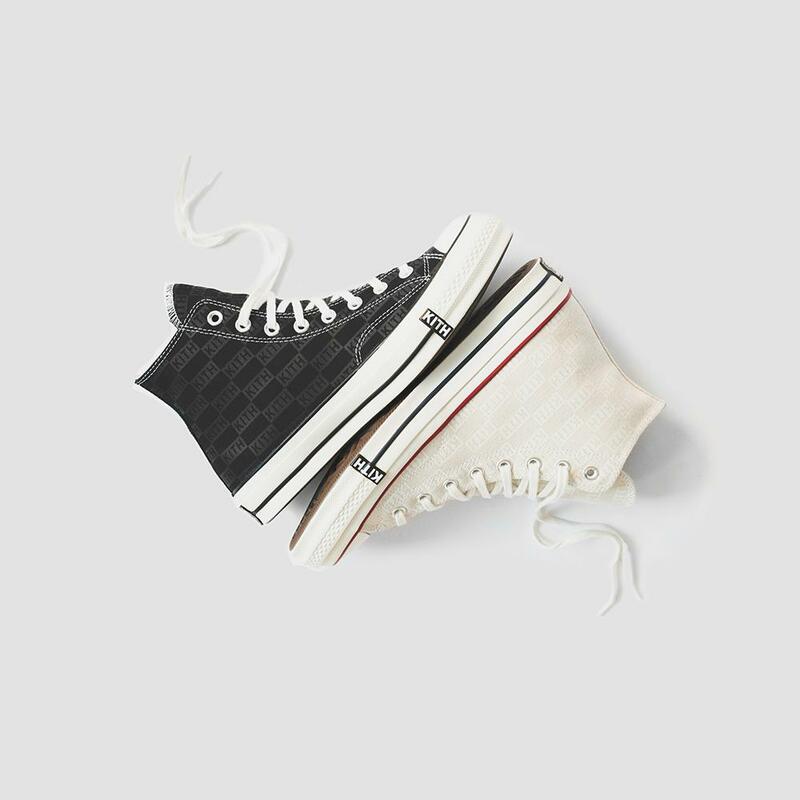 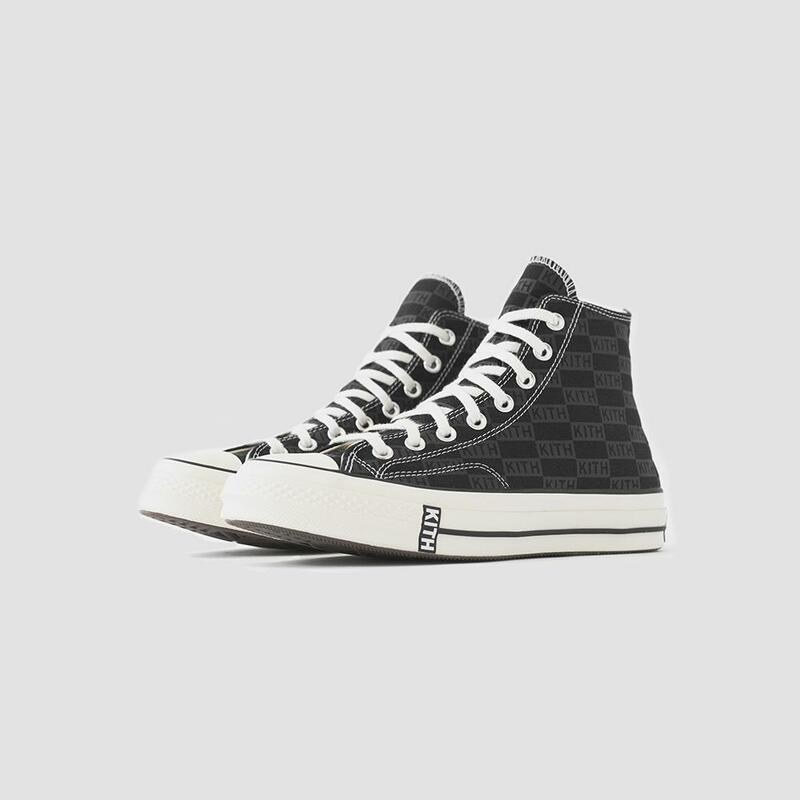 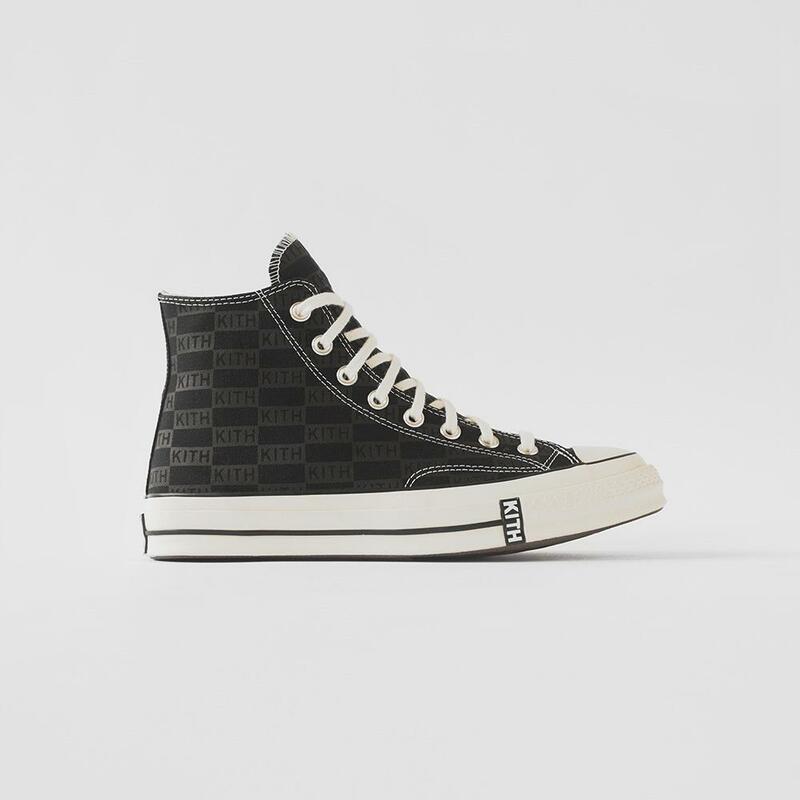 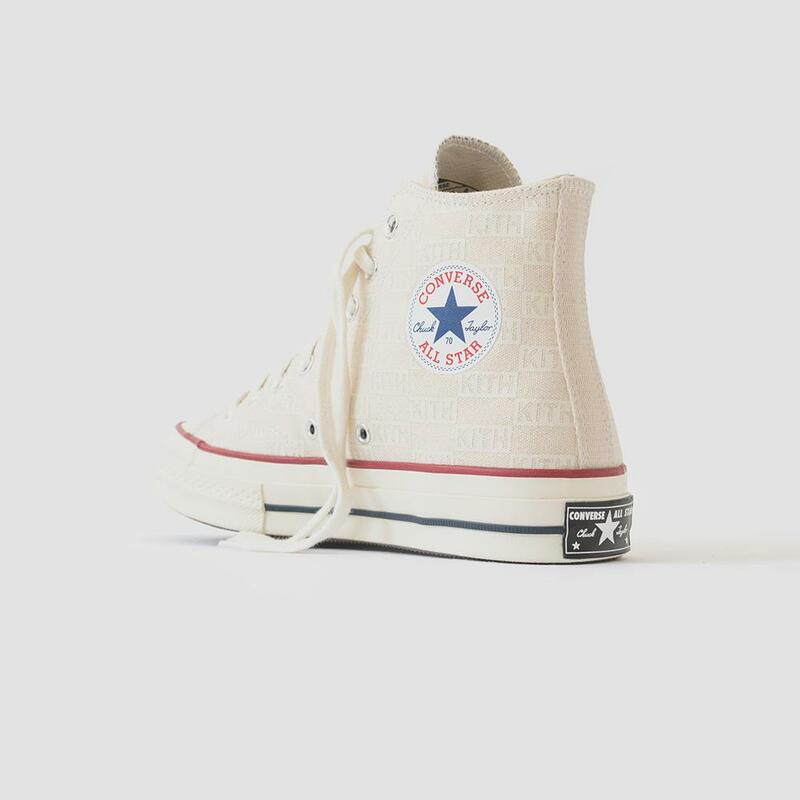 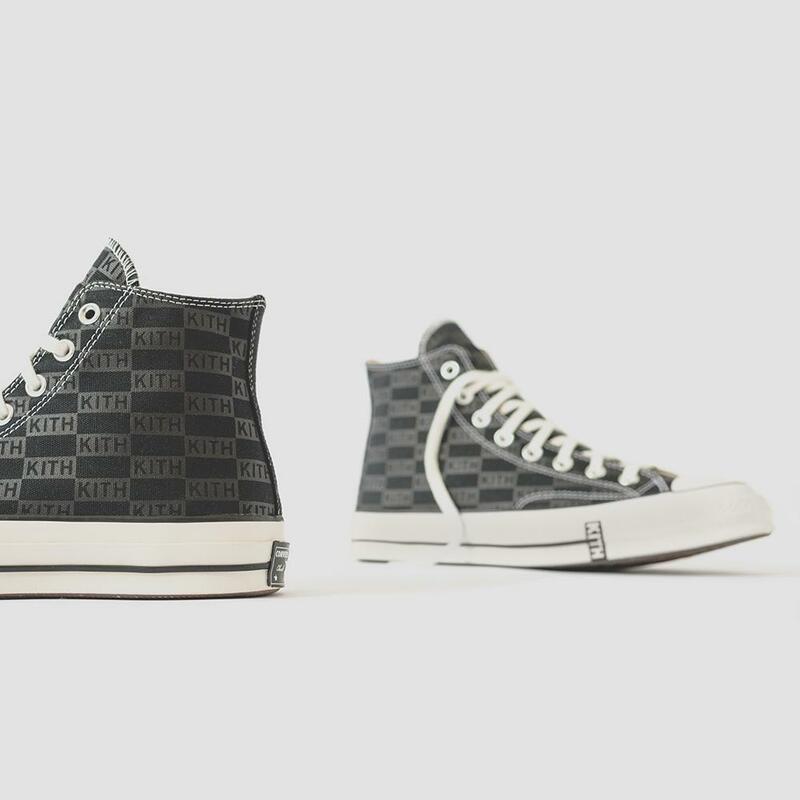 Both the Parchment and Black Chuck Taylor receive a Kith Monogram print across their canvas uppers, while a new leather lining elevates the material execution. 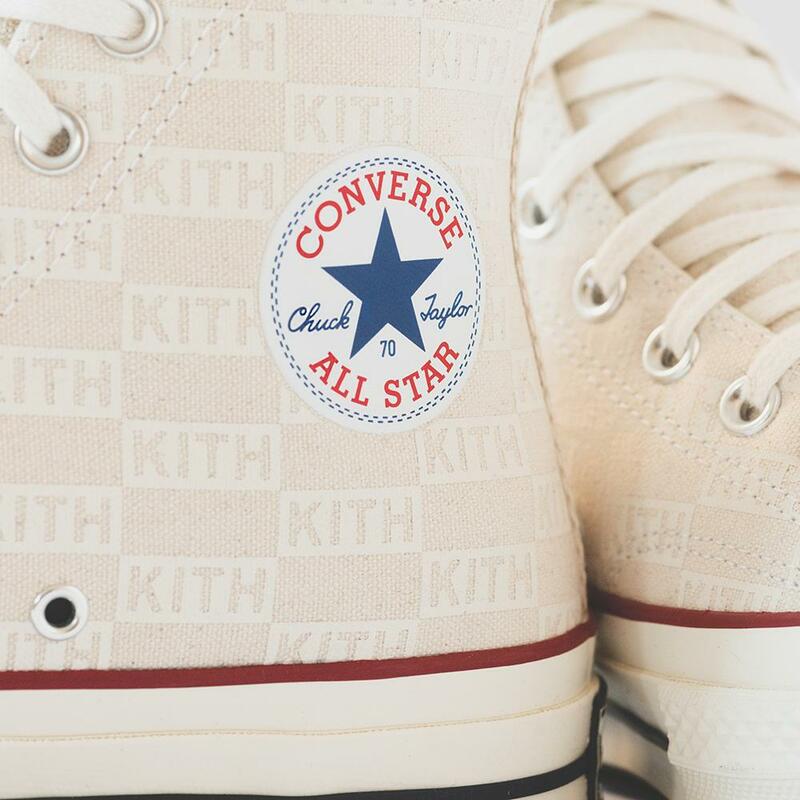 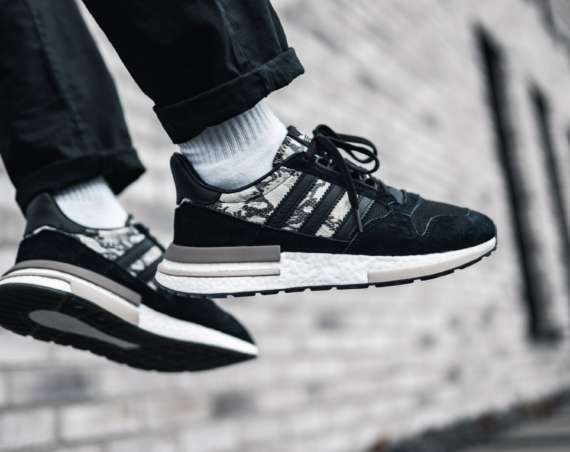 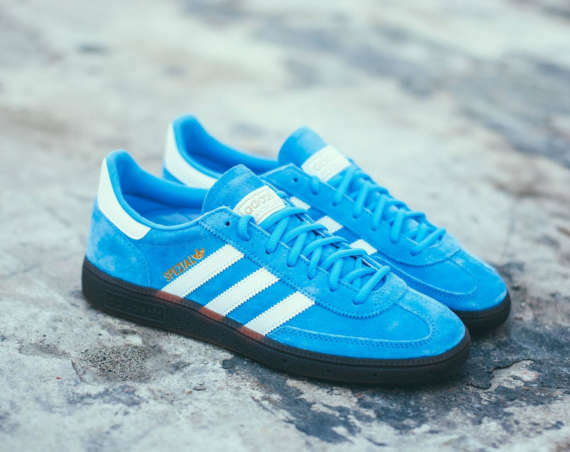 A Kith logo is also located on the lateral side of the soles. 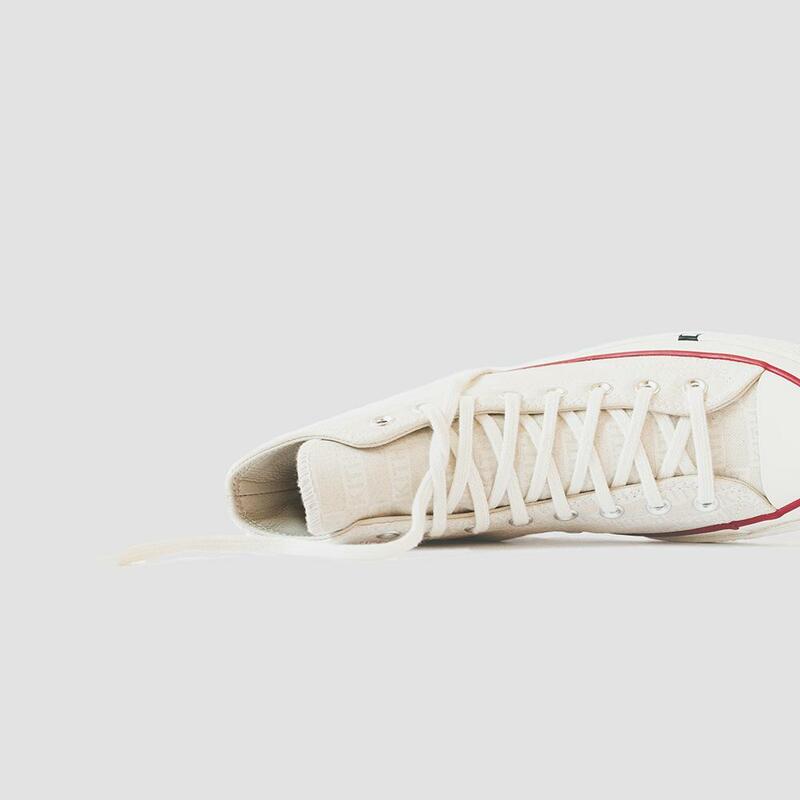 The two piece collection will launch as an in-shop exclusive at all KITH locations on Friday, the 19th of April.